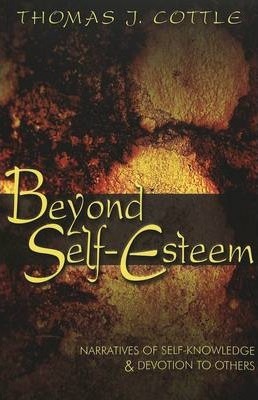 In Beyond Self-Esteem, Thomas J. Cottle argues that America's preoccupation with notions of self-esteem and self-regard not only does not reflect the fundamental nature of the self, but leads to selfish behavior and an inability to devote one's self to friendships. The self, Cottle writes, is predicated on social relationships and, more specifically, on the affirmation each of us offers to the other, as well as the degree of responsibility we find ourselves willing to take for one another. It is Cottle's contention, reinforced by his theoretical positions and by the narrative accounts of children and adults alike, that affirmation of and the assumption of responsibility for other people remain the most ethical human actions. The Author: Thomas J. Cottle is Professor of Education at Boston University. A sociologist and practicing clinical psychologist, he is the author of more than twenty-five books and five hundred fifty articles, essays, and reviews. Among his books are Hardest Times: The Trauma of Long Term Unemployment; At Peril: Stories of Injustice; Intimate Appraisals: The Social Writings of Thomas J. Cottle; Children's Secrets; and Mind Fields: Adolescent Consciousness in a Culture of Distraction (Peter Lang, 2001). You can visit the author's website at http: //thomascottle.com.